Dreiturm 5pc. 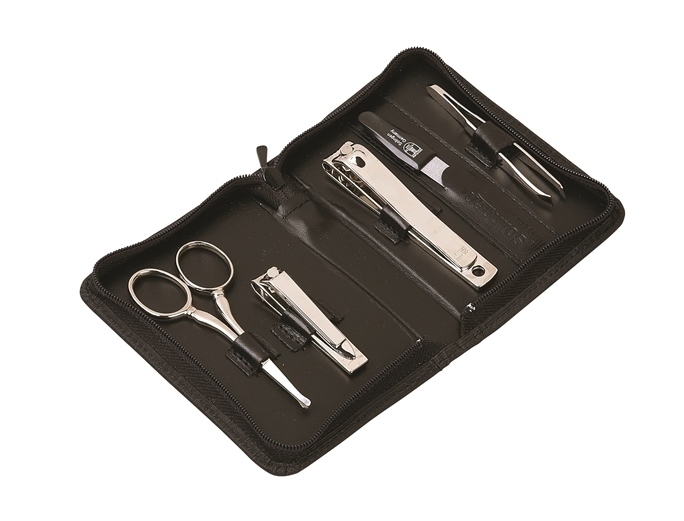 Manicure Set, comes with black leather zipper case, toenail clipper, nail clipper, nasal scissor, tweezers and nail file. All are nickel plated and made in Germany.